I live in an absolutely beautiful state (Tennessee), but I honestly believe that the state of Maine is in a category all its own, it is painfully beautiful. Every linear mile has about ten things that you could spend a day painting. 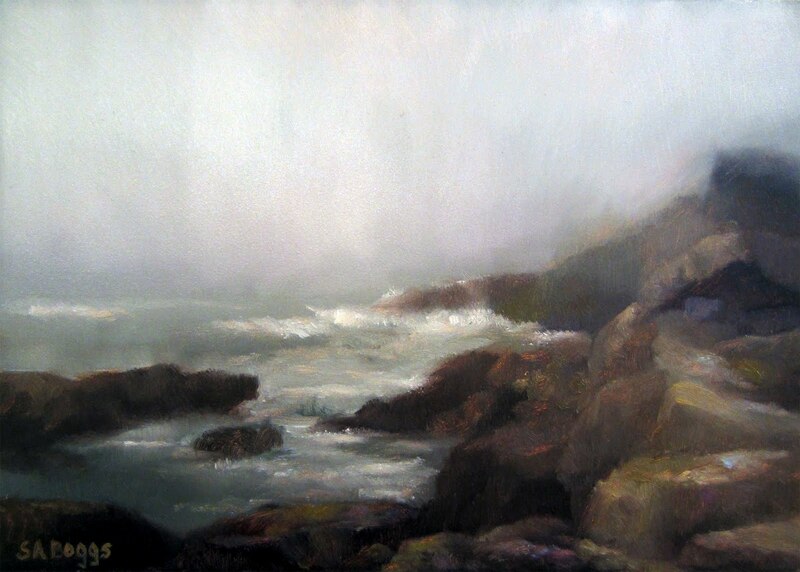 This was painted today (6/5/12) from a series of photos that I took on a trip to Maine a while back. While I was there I did a number of plein air paintings and took a lot of photos to reference back in the studio. That particular morning I was working on another painting in the other direction toward the lighthouse. An hour and a half later the sun came out, the fog cleared, the sky turned bright blue, and this scene looked completely different. As a painter it is next to impossible to do justice to a subject like this, but it is a lot of fun trying! I hope that you enjoy it.